Shoot show stopping square photos on 120 film with the glowing colors, shadowy vignettes and fine contrasts of the legendary LOMO LC-A. Featuring a 0.6m closest focusing distance, multiple exposures, long exposures with rear curtain flash, a fantastic wide angle glass lens and so much more - the Lomo LC-A 120 will be your favorite new, pocket perfect camera! 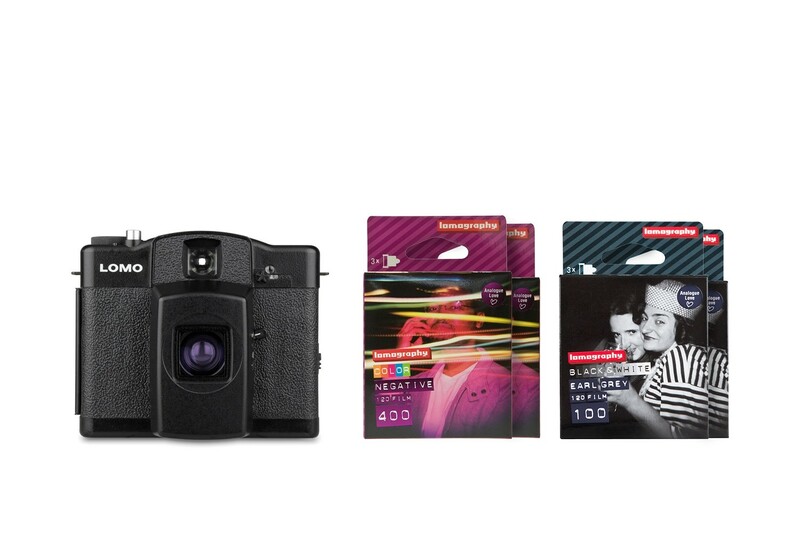 Achieve vibrant colors and stunning sharpness with two packs of Lomography Color Negative 400, and get monochromatic and moody with 2 packs of Earl Grey B&W 100 and 15% with this bundle!